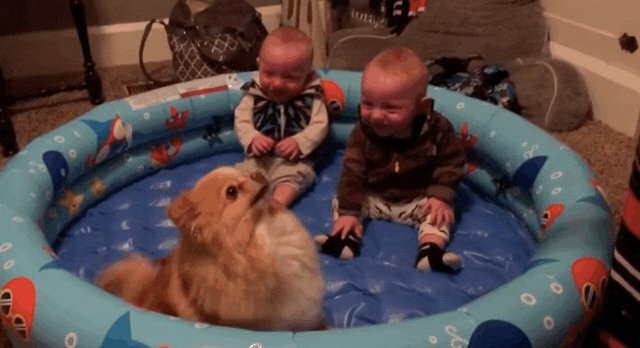 There's something about dogs and babies together that makes them such a magical combo. 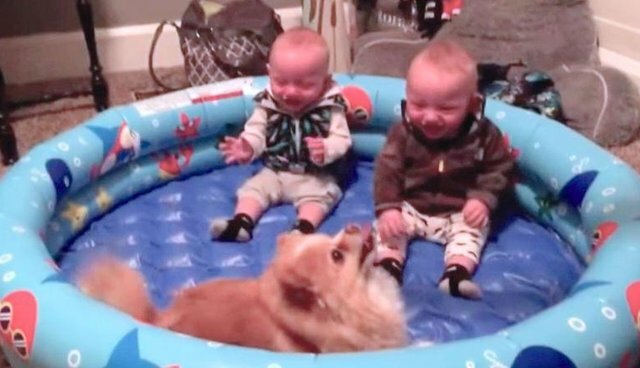 These adorable twins cannot stop giggling at their fluffy little dog while he wiggles around. The pup is just focused on whatever toy mom is holding ... of course. Watch the whole video below, and be sure to turn up the sound for maximum cuteness!